Catastrophic injuries and wrongful deaths can occur anywhere that negligence, carelessness or recklessness arises. Knowing some of the more common sites of catastrophic injuries and wrongful deaths can be important to understanding the risks associated with certain locations or activities – and how to steer clear of them. It can also be pivotal to uncovering the legal options for financial recovery when accidents, injuries and wrongful deaths do occur in these (or other) other settings. 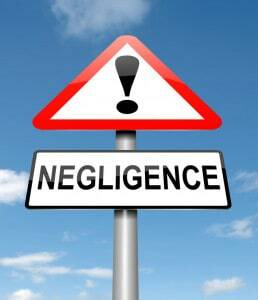 Have You or a Loved One Been Injured by Another’s Negligence? During your FREE consultation, we will review your potential claim, answer your questions and explain your rights and legal options. If you are unable to visit our offices, free virtual and mobile consultations are available. At Work –About 2.9 million workers in the U.S. suffer an on-the-job injury in a given year.1 In some cases, these injuries may result from worker inexperience, faulty equipment or a lack of safety gear. In others, work-related injuries can arise from exposure to toxic substances, as in the case of work-related asbestos exposure causing mesothelioma. Whenever workplace conditions or accidents cause injuries or deaths, the victims may have various options for seeking financial recovery and justice. At Home – Faulty consumer products (like home appliances) and dangerous drugs are just a few means by which accidents, injuries and deaths can happen at home. Product manufacturers, distributors and/or others can be liable when their defective, toxic or dangerous items cause harm, damage and losses. On Others’ Properties – The places you visit for shopping, entertainment, education and other activities may not be as safe as they seem. When property owners, managers and/or landlords fail to maintain their premises, accidents can and do happen. Slip and falls, elevator accidents and swimming pool accidents are some examples of the serious incidents that can occur on others’ properties. On the Road – Each year in the U.S., car accidents injure about 2.18 million people and kill more than 22,100 others. Tragically, federal regulators have found that about 94 percent of car accidents are caused by some form of human error.2 Commonly, this involves driver misbehaviors, such as drunk driving and distracted driving.Of course, car accidents are not the only types of wrecks that can happen on the roadways. Truck accidents, motorcycle crashes and pedestrian accidents are other ways people can be severely, if not fatally, hurt on the roads. On the Water – Similar to motor vehicle accidents, boating accidents often have catastrophic, if not deadly, outcomes. Also like motor vehicle accidents, boat accidents are largely caused by operator error, with operator inattention, operator impairment and speeding being among the top 6 causes of all boat accidents. Support, experience and effective help building the strongest possible claim. A Houston personal injury lawyer at Amaro Law Firm is ready to protect your rights and build you a strong claim. Call (877) 892-2797, text (281) 612-8024 or email our firm for your FREE consultation and essential information about how to proceed. This single step can make all of the difference in the success of your claim and recovery. Testimonials from former clients, as well as 5-star ratings on Google and Facebook, speak to the Amaro Law Firm’s record of extraordinary representation and success in personal injury and wrongful death claims.